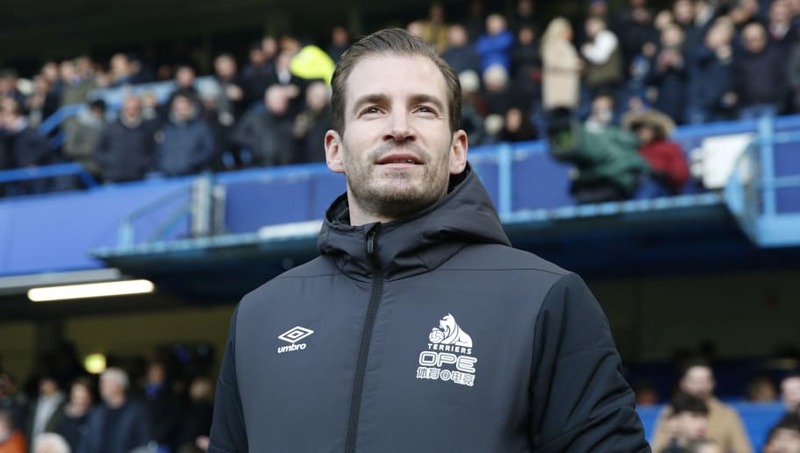 Jan Siewert conceded his Huddersfield side couldn't compete with Chelsea as the Blues ran out 5-0 winners at Stamford Bridge. Coming off the back of back-to-back Premier League defeats - which included a 4-0 thrashing at the hands of Bournemouth on Wednesday night - Chelsea were determined to bounce back with a win, and they got off to the perfect start. Jan Siewert: “I don’t feel well after that. The truth is that we cannot compete with Chelsea at the moment; there’s not much more to say. ​Gonzalo Higuaín opened the scoring thanks to an emphatic finish from close range, before Eden Hazard doubled the home side's lead form the penalty spot on the stroke of half time. ​Huddersfield had caused ​Chelsea some problems in the first half, however the floodgates opened after half time with Hazard getting the Blues' third goal of the game in fantastic fashion. Just three minutes later, Higuaín grabbed his second of the game thanks to a spectacular strike from outside the area which sailed into Jonas Lossl's top corner, before a late David Luiz header rounded off the scoring in what was a rampant ​5-0 win for Chelsea. Speaking to ​Sky Sports after the game, Siewart conceded that his side tried everything and just couldn't take their chances. He said: "We tried everything to beat them but they showed they are also very hungry because of their defeat against Bournemouth. "We missed several moments when we could have shot. It's possible to threaten but you have to shoot. Sometimes the ball goes for a corner or goes to goal, which is the important thing." There was a moment of controversy concerning Chelsea's second goal with a penalty being awarded after Cesar Azpilicueta was deemed to have been fouled by Elias Kachunga, with Siewart claiming he felt it wasn't the right call. He added: "It was a very bad moment for us. We had some chances before and then maybe we could have equalised before half-time and I'm not sure if it was a penalty. "We have to work as intensely as possible and for my game you need the right shape for that. To be intense and defend at the front is the most important thing. We have to work hard and continue. "It's definitely a test of character. Our fans were fantastic and we have to show that we are willing to win games." Huddersfield remain stuck at bottom of the ​Premier League table and are 13 points away from safety. They'll be hoping for a change in their bad fortunes when host Arsenal on Saturday afternoon.